As a mom I’m always finding it difficult for my toddler to eat his veggies. He loves fruits but isn’t the most keen on vegetables. I am always trying to find new ways to incorporate veggies into our dishes and I’m beginning to try homemade smoothies to get an extra boost. 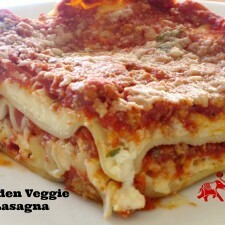 I personally have always loved lasagna, all Italian food for that matter, but it isn’t the best to be eating all the time. When I do get a “hankering” for this delicious comfort food I put a twist on it to make it even healthier. 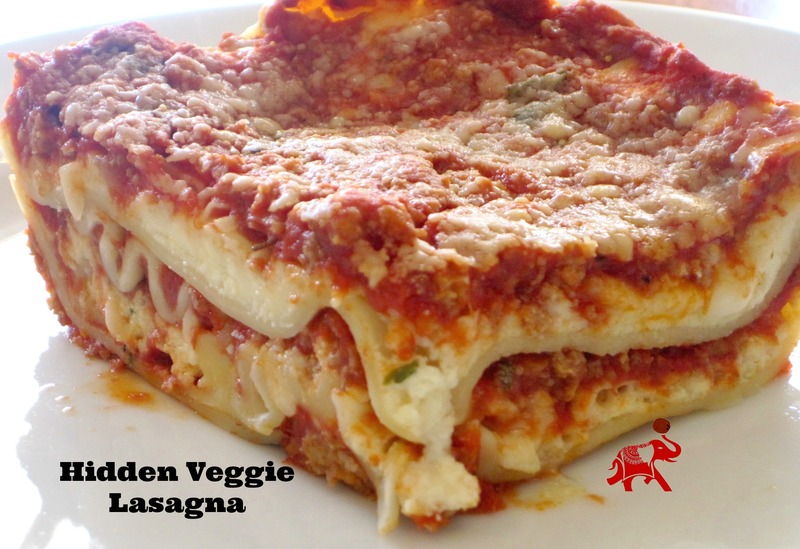 I especially enjoy adding hidden veggies to a meal to incorporate the nutritional benefits. Can you spot the veggies in this dish? Neither can your kids! Add coconut oil to a large skillet on medium heat. Brown the meat and drain grease. Pour spaghetti sauce into browned meat and allow to simmer for 5 minutes. In a bowl combine ricotta cheese, 2 cups of mozzarella, eggs, half of the Parmesan, parsley, salt, pepper, squash, zucchini and mushrooms. Spray a 9 x 13 inch baking pan with cooking spray. Evenly spread 3/4 cup of the sauce mixture to the bottom of the pan. Cover with 3 lasagna noodles, 1 3/4 cup of the cheese mixture and 1/4 cup sauce. Repeat for two additional layers. Add water to the edges of the pan and cover with aluminum foil. Bake for 45 minutes. Uncover and bake for an additional 10 minutes. Set aside for about 10 minutes then serve. I really like this dish because it has the traditional feel of good comfort food allow with a supply of your veggies. Between the supply of vitamins A & C from the yellow squash, no sodium in zucchini, vitamin B from mushrooms, and the no cholesterol or sodium in the coconut oil you’re bound to feel a little better about making this dish. I also enjoy making this dish because my son doesn’t know there are veggies in it since they are diced. If you have really picky eaters, try pureeing the veggies to mixture into the pasta sauce. This way they really won’t be able taste those nutritious ingredients. Also, to make this gluten-free and/or vegetarian swap the noodles for slice eggplant and omit the meat. How do you get your kiddos to eat these veggies?